When it comes to planning a road trip in a car, it’s a pretty seamless affair. With the numerous safety and comfort features a car provides, it’s almost as simple as getting in the car and driving. On a motorcycle, however, the adventure requires a bit more targeted planning to ensure you arrive sane and with a smile on your face. To help you plan for a long haul motorbike ride, Jim Ackney has the following tips. When you are in a car on a road trip, you can spend much of the time talking about the sights that you are seeing and the roads that you are driving on. It’s all part of the adventure of a road trip. 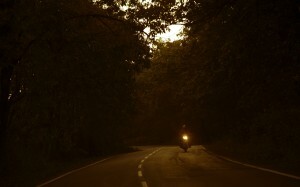 However, when you do a solo road trip on a motorcycle, you don’t have any of these social and fun interactions, which can lead to a somewhat boring ride. Instead, look for friends with motorbikes who would be interested to join you. While you won't be able to have the same communication as you would when you are on the road, each time that you all stop to stretch your legs and refresh, you will have lots to talk and laugh about and can be a great morale boost for your trip. It’s good to be break-aware when riding your bike over long distances. It’s no surprise that riding your bike isn’t as comfortable as driving your car. For this reason, when you are deciding where to go, it’s important to remember that you can’t ride the same distance as you can drive. This doesn’t mean that you can’t get to where you want to go, it just means you should be realistic about how long you can ride during the day and potentially plan overnight stays along the way. While you’re doing your planning, remember that you will need to take more stop breaks on a bike. When you’re driving a car, eating a snack or opening a can of refreshing soda is easy. On a bike, however, it requires you to pull over where you can, stop the bike, take off some gear, enjoy the snack, and then put it all back on again. Look for places along your route which can offer you and your friends both a safe place to park and good scenery or somewhere to explore. Click here to buy 20W-50 Synthetic V-Twin Motorcycle Oil and keep your motorbike running smoothly during a long haul ride. To learn about how a synthetic oil change can improve our bike’s performance, speak with Jim Ackney at (780) 476-0545. If you prefer, the online store has further information on the range of high-quality AMSOIL products. When it comes to changing the radio station when driving in your car, it’s as easy as pressing a button or two on your steering wheel. However, when you’re on your bike, similar to eating some food, you need to stop and pull over. Of course, this all relies on you being within the range of a good radio station. Instead of this, use your favorite streaming app on your phone to create a range of playlists, such as a smooth music playlist when you first start driving, a high-energy playlist when you think you may need a bit of a pick-me-up, and then a playlist for cruising through nice scenery. If you can match this with a high-quality Bluetooth headset which works with your phone’s inbuilt assistant, you will be able to change playlists, take and make calls, along with listening to and respond to text messages, all just by using your voice and never having to stop. When you are planning, it’s important that you take the weather forecast seriously. After all, your bike doesn't have a roof, doors, or windows, like your car does to protect you and keep you comfortable. Instead, it’s just you and the open environment. Of course, don’t let the weather limit where you go, you just need to mindful of it and plan around it. For example, if you can see that one of the places you will be riding through is expecting bad weather, either look for an alternate route or plan to arrive before the weather starts and enjoy a coffee in a cafe while you wait it out. In addition to improving the performance of your bike, a synthetic oil change can also help to reduce engine wear and extend the lifespan of your engine. To learn more or to place an order, speak with Jim Ackney today by calling (780) 476-0545. Experts in the field of synthetic oil and engine maintenance, trust their experience and advice to find you the best product for your engine needs.